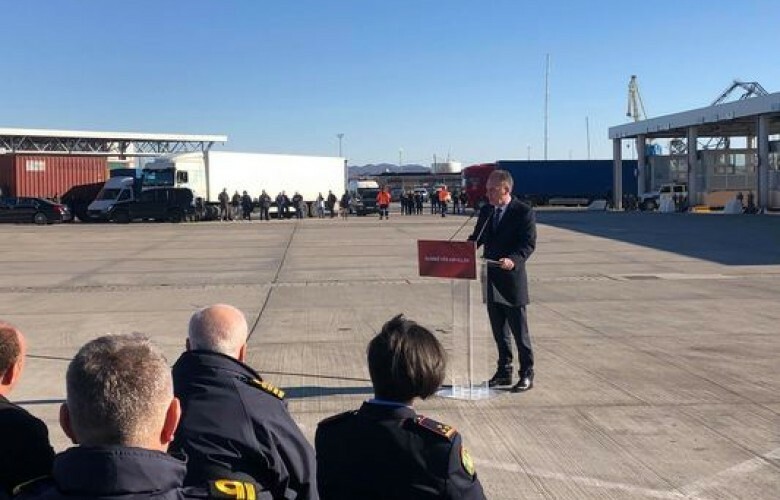 An official ceremony of the beginning of the work of Kosovo Customs at the port of Durrës in Albania was held today. Prime Minister of Albania Edi Rama, Deputy Prime Minister of Kosovo, Fatmir Limaj, as well as the Minister of Finance Bedri Hamza, attended the ceremony. Limaj said that this project shows that the joint meetings of the two governments are not only political but also economic. “This port shows that we have started to integrate economically. It is important news for the economy of Kosovo and Albania. It is an important moment of expanding cooperation between the two countries. After the nation’s highway, the port project is the most important since the announcement of Kosovo’s independence,” Limaj said.